- Conceptually, the A&M Houses have been an experiment in drawing a relationship and balance between a reduced footprint, comfortable living and maximised amenity. The undulation of the roof line and the north facing skylights open up the narrow volumes to the sky above promoting the feeling of abundance of space. 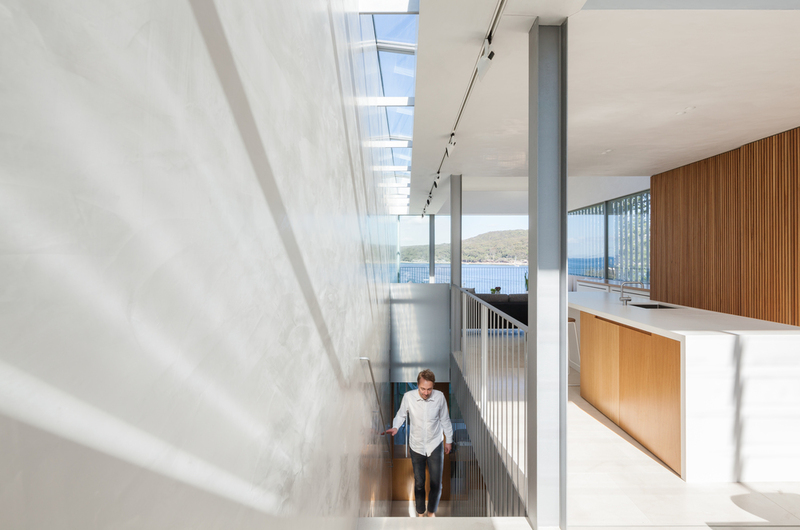 The detailing of large openings and the continuation of the limestone flooring into the courtyard spaces aims to create generous and seamless connections to the outdoors, visually expanding the constricted floor-plate. 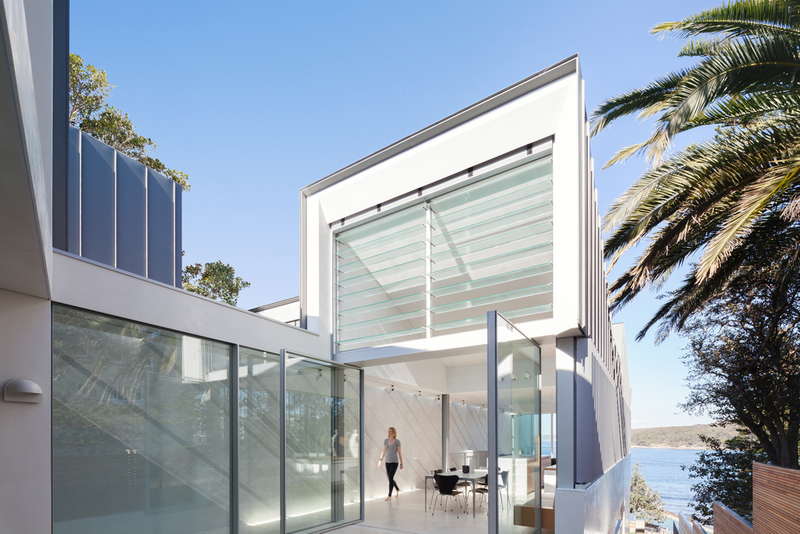 Zinc cladding and waxed stucco walls contribute to the material palette and respond to the client’s ‘no-maintenance’ brief and the site’s close proximity to the beach as no painting is required - ever!. Inhabitants of the A&M houses are encouraged to modify and adapt spaces to facilitate maximum amenity in both an environmental and social sense. 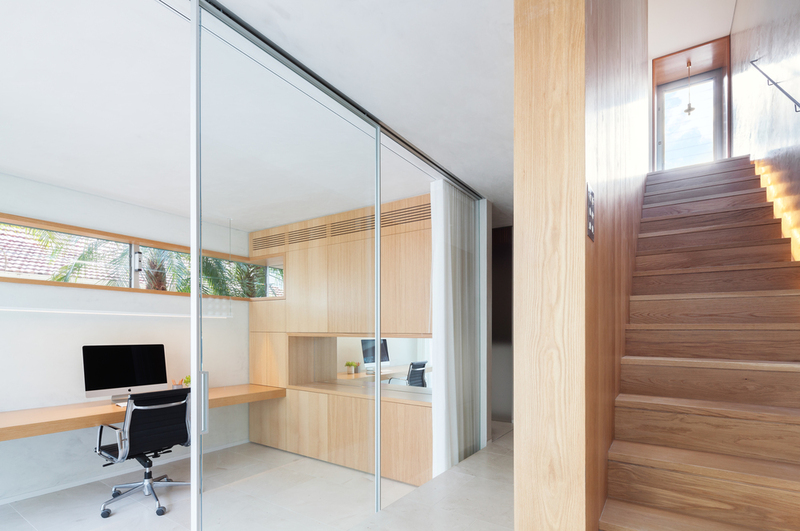 The use of sliding wall panels in the form of timber screens, frosted glass and linen curtains eliminate the need for fixed swing doors and allows each space to open up or close off according to visual and acoustic privacy needs. Half the size of a typical new house, the A&M houses aim to provide a modest floor plate without compromising liveability.